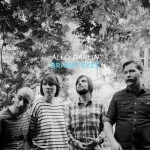 The more I hear from this new Allo Darlin, the more I swoon. There’s something magic about a perfectly executed indiepop tune, and this one is more than just magic. I love the vocal interplay between male and female, fittingly coming across like friendly banter between lovers. There’s indiepop, then there’s the spectacular, and this track is definitely falling in the latter category. Their new album, We Come From the Same Place, will surely be in your hands on October 7th when it gets a US release by Slumberland Records. That’ll be followed by a nice long US tour too, including an Austin date at the Mohawk. Having been a long time fan of Bright Eyes, I was really interested to see how his return to the name would go, since I haven’t been overwhelmed, necessarily, by his Conor Oberst output. For the most part, it’s a return to form, though most people will find that The People’s Key more closely resembles Digital Ash as far as production goes, rather than going the route of lush orchestration that was present on Lifted. Of course, the album opens with over two minutes of spoken word, which, if you’ve been a fan, is something Conor has almost always used to begin his records, and in doing so, he seems to be stating that while it might have been some time, he’s still treating Bright Eyes as he always has. Once “Firewall” gets going, you’ll find that his country-twang has dissolved returning him to the more soft-spoken troubadour of old. And who doesn’t love a bit of Magic Mogis orchestration to accompany his work. When I first heard “Shell Games,” the piano backbone reminded me of early work on Fevers and Mirrors, except this is definitely a more mature Oberst, one who now should celebrate great control over his voice. As the song moves along, there’s definitely a more futuristic (read electronic) sound pushing the track. My favorite line is “I’m still angry with no reason to be,” showing long-time fans that he’s still out there searching for the perfect path, much like the search we’ve all gone upon ourselves. Then to move from a semi-ballad to “Jejune Stars,” well, its a perfect move, while both songs share some sonic similarities, but differences allow for change in perceived mood. Personally, the stuttering of the guitar lines, not to mention the rise and fall chorus, make this track a stand-out in my mind. “A Machine Spiritual” opens up with some typical strumming, which slowly retreats into the background of the song as Conor’s voice takes control. For some reason, his approach on this song, as well as throughout The People’s Key, gives him a sense of rejuvenation, as if he’s gone back to his twenties. He seems gentler somehow, almost more naive, but perhaps this all revolves around his subject matter. Using bits like “impart to me/your wisdom/and eventually I’ll float into the ether” remind us that one of the great thing about Bright Eyes, past and present, is that he often walks the same path that his listeners seem to take; sometimes we’re all looking at a world we’re not happy with, struggling to find our own meaning, in a world we’re not sure we can necessarily change. It’s this sort of a theme that goes along with “Ladder Song,” that constant pursuit for what it all means, and how we can change it all. Ultimately, it seems that Oberst realizes we all must live on our own terms, and the song is incredible, if not one of his best. The fragility in his voice during the chorus, his openness with listeners, and the simplicity of the structure of the song serves as a reminder of just what an incredible writer he is…love him or hate him. It’s been said that this would be the last Bright Eyes release under the name, and if so, then I’ll admit I’m probably a bit saddened by that thought. The People’s Key is a reminder of just how amazing Oberst is as a songwriter, and that with his pal Mogis behind production duties, how heartfelt his music can truly be. If he does manage to leave it all behind, let’s just hope that his new work can somehow manage to encapsulate all the things that make listening to his work great such as spirituality, great lyrics, and a certain nakedness, one that allows us to see ourselves in our favorite musicians. Here’s to that. 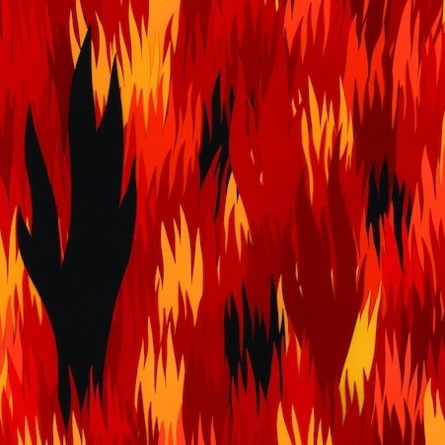 The interwebs is going crazy today with the new Bright Eyes track that has just been made available for download. The tune found below “Shell Games” will appear on upcoming album The People’s Key out February 15th on Saddle Creek Records. I know some of our staff members will be peeing their pants for this new record, so we just had to share. 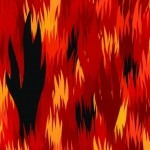 The attached fiery image is the planned album artwork for the first new LP from Bright Eyes in close to four years. 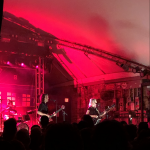 We’re going off the deep end here with a bit of a different look at our next featured artist for our Austin City Limits Festival coverage. The band is a sort of super-group, made up of renowned musicians in the indie world, and we’ve borrowed some ideas from our great friends over at theManyFacesOf.com. Hopefully you enjoy this feature, and without further ado, we introduce you to The Many Faces Of Monsters of Folk. Follow the jump for more. Villagers is the namesake for Irish songwriter Conor O’Brien, and the release of his album Becoming a Jackal is every bit as glorious as early hype might have lead us to believe. While the backing band for this project relies upon subtleties, Conor’s voice serves as the key instrument from which you will fall in love with his work. Album opener “I Saw the Dead” begins your journey with a haunting piano line whilst O’Brien recounts his visions of seeing the dead. It’s your first glimpse of his storytelling, which definitely has a more poetic leaning than a lot of modern lyricists. You immediately find yourself immersed in his visions, precisely as the songwriter wants. Then you find yourself at the title track following the frailty of O’Briens voice, and at this point you can’t help but to recall similar tonality shared with Zach Rogue. It’s the proper choice for a single, although it might not be the song that portrays all of Conor’s strengths. Entering “Ship of Promises” you start to notice a bit of a waiver in the vocals, something that should remind you of early Bright Eyes works (Fevers and Mirrors in particular). 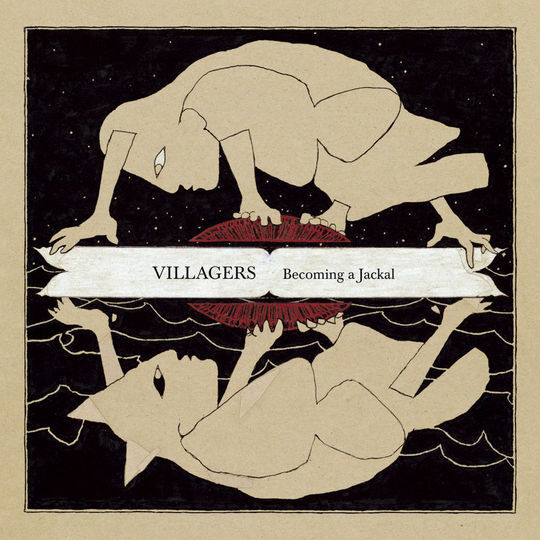 Villagers succeeds in this arena due in part to the steady percussion that lines almost all the tracks on this collection, but you’ll find the vocals wrapping you up in Becoming a Jackal. For instance, the fragility exposed during “The Meaning of Ritual” when O’Brien claims “my love is selfish/it cares not who it hurts” allows you to forgive the emotions being expressed here. Not many songwriters can still accomplish that feat by voice alone. Those of you looking for variance in songwriting will surely appreciate the juxtaposition of styles throughout the record, allowing you to move amidst the songs without finding yourself bogged down by monotony. “The Pact” has sort of a rollicking guitar line that lends itself to the more modern side of singer/songwriter genres, though careful orchestration places emphasis in precisely the right place, especially the organ that seems to grown for the duration (ed.-I’d love to see what Mike Mogis could do with this guy). Yet its placed alongside “Set the Tigers Free,” a song that relies more upon the effect of barroom crooners. There’s a slight bit of swing to the song, perhaps aided by the tropicalia accent in the guitar work. One must surely appreciate the movement within Becoming a Jackal, as many songwriters have succumbed to the pitfalls of the profession. “Twenty Seven Strangers” probably is one of those tracks that I’d include on mixtapes for the rest of the year. 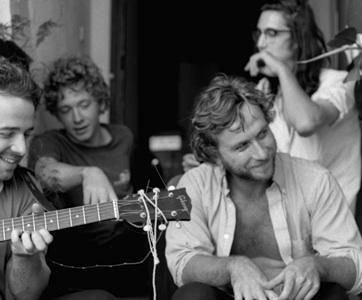 It features a polite strumming, and a bit of an echoing hum serving as a semi-chorus. O’Brien’s vocal delivery is so calm and focused that encourages you to sneak inside yourself in order to appreciate the narration. And, when his voice finally rises in the middle of the song, its clear that he’s constructed another wonderful track. Such is the work of a great songwriter. You’ll find yourself pressing repeat often during your listening experience with Becoming a Jackal. 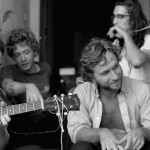 It seems that each song has something different to offer, whether that be the approach to songwriting or to the emotional reward for the listener. Villagers debut reminds us all that occasionally someone gets it so right that we can’t ignore their work. Conor O’Brien’s promising (and ultimately rewarding) album will surely serve as that reminder in 2010. The last time we caught Dawes, they were winning over the audience opening up for Delta Spirit. Now they’re headlining their own set up at Emos this weekend, bringing you their blend of Americana and California-tinged bluegrass. Luckily, the openers aren’t too shabby either; Cory Chisel & the Wandering Sons have the middle slot, and Jason Boesel opens. 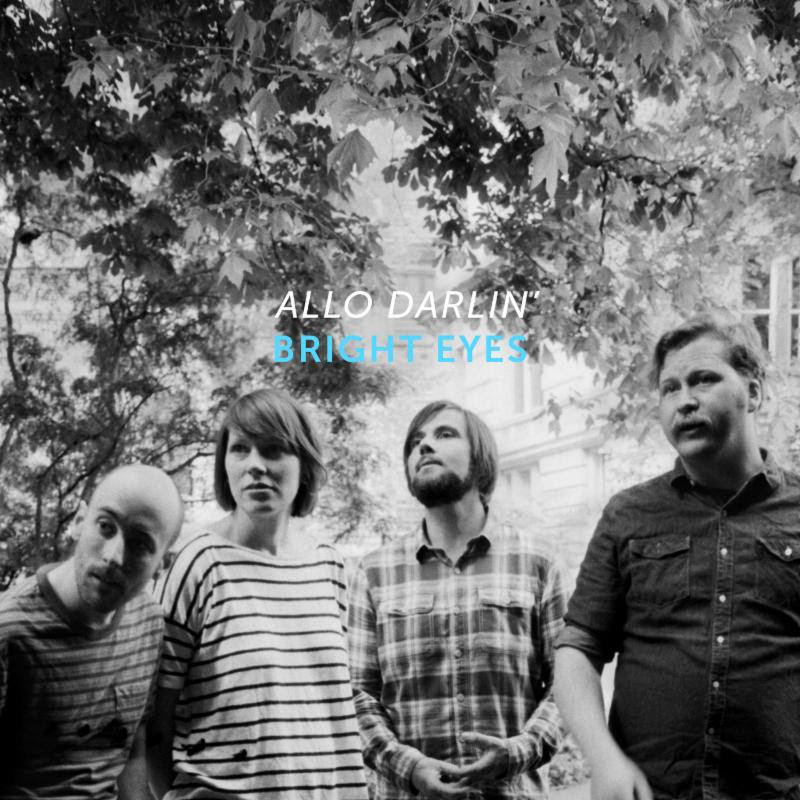 You’ll know Jason from his role in Rilo Kiley and his work on various Bright Eyes records. See you Saturday night! 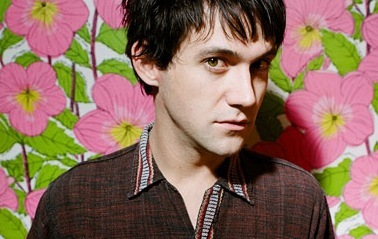 For those of you that love all things Bright Eyes, it might come as a shock that Conor Oberst is set to release his solo debut on Merge Records. 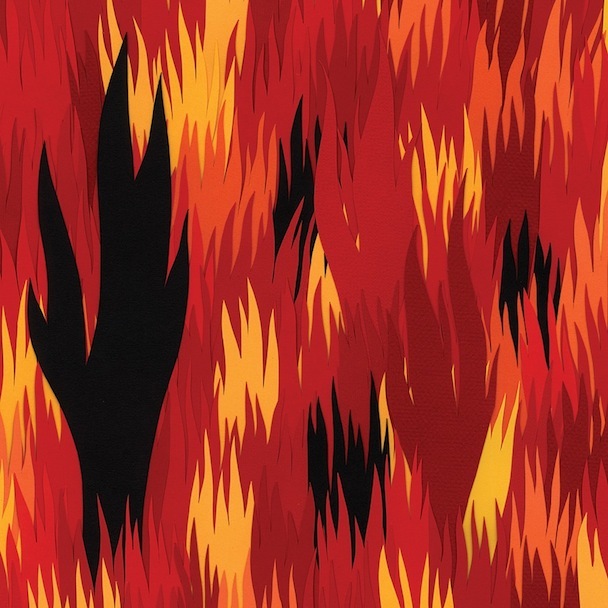 Does this mean the end of Bright Eyes, or is it just an alternative, or a break from tradition. Regardless, this album is sure to please most fans, and possibly garner some new ones. 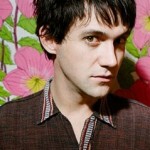 You can listen to the album in its entirety at conoroberst.com.